QUESTION: Why I should buy a baby swing? Little babies really love swing, It is a life saver when you needed to walk away for a minute or get her to nap. QUESTION: Up to What Age Is The Swing Suitable? Swings capacity not depends on age but depend on weight they are able to hold. Some babies might cross the weight limit earlier. So, should consider about weight of baby to lie on swing. QUESTION: How a swing helps in soothing a baby? Swinging can be very soothing and relaxing for your baby. Specially when you’re busy making dinner, helping with other at home, but a motor baby swings offer rhythmic motion calm baby down. QUESTION: How does a swing entertain my baby? The motor equipment of swing entertains your baby. Music, some toys of baby swing will entertain your baby. Baby swing acts like an extra set of hands to take care of your baby .Just make sure the swing is designed for a small baby. QUESTION: Does the swing help in development of baby? Yes ,The most obvious benefit is that swinging is fun and exciting element for baby. Swinging is a suitable exercise from the time the neck is strong enough (approximately 6 months). QUESTION: What attention I have to pay while buying a baby swing? You should check weight limitation of swing, seat design, Safety, included toys etc. And if you like to go travel or something like that you can choose portable baby swing. QUESTION: Can I use baby swing while traveling? Yes, you can. And then a portable baby swing will be the best choice. QUESTION: Can I get washable baby swing seat? Most modern swings come with detachable parts, Many of baby swing’s seat pad are machine-washable and toys can be removed. QUESTION: How long can I leave my baby in a swing? It just depends on baby. When baby is tired you can put him in it and he will sleep there for a couple of hours. Swings are not ideal for long term sleeping of baby as they do not provide support for the growing baby’s bones. QUESTION: Can my baby sleep in a baby swing? Parents are not relying heavily on swing. The rhythmic rocking motion of the swing may very well for soothing your baby; So It’s fine to let your baby sleep in the swing for a short time while you’re nearby. QUESTION: What is the weight limit of baby swings? At last baby swing is not a necessary item and it may be the least thing for your baby until you fell you needs it. 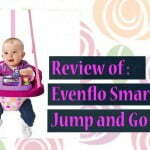 There are many baby swing factors have to consider when purchasing a new swing for babies. That’s the reason parents should test out a product if their babies are going to be comfortable in the swing and stay in it longer. Baby swing acts like an extra hand and might be a good idea and could be best for parents.